You get plenty of rest, but your loved ones and coworkers still comment on how tired you look. Fortunately, there’s a way to stop looking exhausted and worn out: eyelid surgery. This procedure, also known as blepharoplasty, lifts sagging lids and reduces the appearance of bags and wrinkles under the eyes. Dr. Garcia performs this surgery for people whose upper eyelids have lost elasticity and begun to sag. Your eyes are a focal point when you meet people, and they say a lot about who you are. Sagging skin around the eyes can make you appear tired and old, but the right surgery can help you let people know that you feel vibrant and alive. People of all ages can benefit from eyelid surgery. 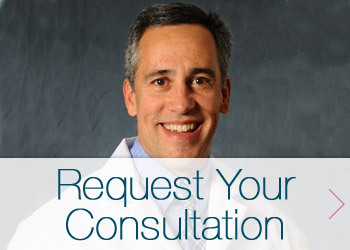 Request a consultation today. In most cases, patients benefit from both upper and lower eyelid surgery. During an upper procedure, Dr. Garcia removes fatty tissue and tightens the skin to decrease the total amount of tissue above your eye. Lower eyelid surgery involves careful resculpting of skin, fat, and muscle tissue to smooth skin and reduce the appearance of wrinkles. Recovery time varies, but by following your post-op instructions and taking proper care of the area, you should be back to yourself and enjoying a younger appearance in about 1 to 2 weeks. Many patients elect to combine eyelid surgery with brow lift, facelift, or other facial sculpting procedures. As with any cosmetic procedure, results for individual patients may vary. However, you can expect to enjoy an enhanced appearance just weeks after the procedure! Curious to see how others have benefitted from eyelid surgery? Check out these before and after photos of real patients who have undergone eyelid surgery at Garcia Plastic & Hand Surgery! Interested in Investing in Yourself with Blepharoplasty? Schedule Your Consultation Today! At your consultation, Dr. Garcia will answer your questions about blepharoplasty or any of the other plastic surgery procedures you may be interested in. Request a consultation by filling out the form below or call 518-793-0475 today to find out how you can look younger and refreshed with the help of eyelid surgery.